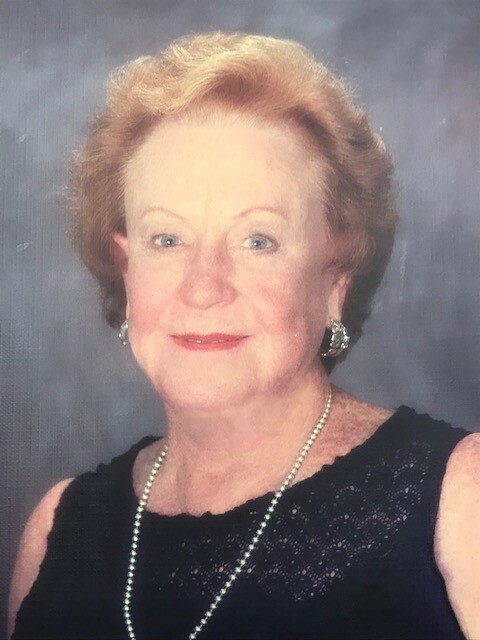 Darlington, SC - Iris Welch Broad, 82, passed away on Wednesday, Jan. 29, 2019 in a Florence hospital. Funeral services will be Friday, Feb. 1, 2019 at 3:00 p.m. in the chapel of Layton-Anderson Funeral Home. Entombment will follow the service at Mt. Hope Cemetery, Florence. Visitation will begin at 2:00 p.m. before the service at the Funeral Home. Iris was born in Olanta, SC, the daughter of the late Patrick Darby, Sr. and Iro McKenzie Sims Welch. She was the owner of Zimac’s , Inc. in Lynchburg, SC before retiring. Surviving are a son, Chris (Megan) Broad; brother, Darby (Audrey) Welch; three sisters,Vivian Hickman, Martha (Allen) Coker, Reatha (Kenneth) Dorrell; three grandchildren, Erica (Chad) Hutchinson, Bryan (Brittany) Wilson, Porter Broad; great-grandchildren, Mackinley Hutchinson, Kingsley & Colton Wilson ; daughter-in-law, Barbara Broad and son-in-law, Dean Wilson. She leaves behind her faithful canine companion, Brandy. Iris is preceded in death by two children, Jacob M. Broad, Jr and Kathy Wilson, and three brothers, George, Ronnie and C. O’Neil Welch. Memorials may be made to Darlington County Humane Society, P. O. Box 503, Darlington, SC 29540.